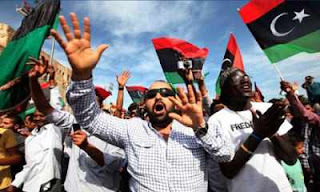 Libya's Nuclear Quest, Can Libya Use Nuclear Weapon? 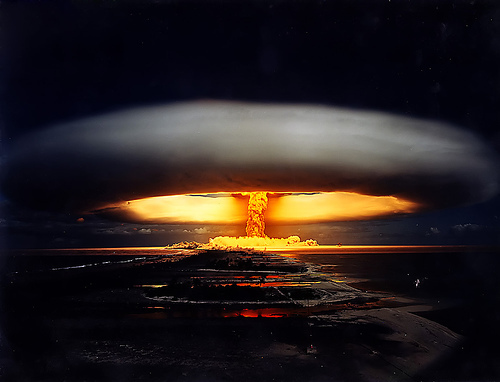 Libya could use the Nuclear Weapon if it had, but the question is where is their nuclear weapon? To give a hard response to India, Pakistan acquired nuclear and missile technology from China and is been accused of giving this technology illegally to North Korea, Libya and Iran. Which is a matter of worry for America and the world. It is very clear that Libya at many times tried to acquire the nuclear bomb and had succeeded as well upto few stages but was caught by the international intelligence. In October 2003, a US-led international operation to discourage illegal nuclear trade intercepted a German freight bound for Libya containing uranium enrichment components. According to another report, Gaddafi had sent his deputy, Jallud, to People’s Republic of China in an attempt to purchase nuclear weapons to deter Israeli nuclear program, though the visit proved to be unsuccessful. In a move to achieve a nuclear bomb, Libya had tried to initiate many bilateral negotiations with other countries to create better nuclear research facilities and power plants, since Libya’s domestic technology was very weak, many students from the nation belonging to nuclear energy fields went to United States and European universities to pursue advance studies. According to Libya-Argentina nuclear cooperation treaty in 1974, Argentina provided with equipment and technical training. In an inspection which was done after Gaddafi’s December 2003 decision to disarm, it was made confirmed that Libya had actually obtained yellow cake from Niger in 1978. But later Gaddafi felt the need of shifting away from weapons and nuclear bomb, which he actually did not require. His only demand was either Israel should drop the nuclear program or all Arab nations must be allowed to carry their program. HE had made his mind that before stepping down and making his son the leader of the country, he would like to get rid of all weapon and military mess. He had declared nuclear disarmament. Though he didn’t have any ready bomb, he did possess Biological and Chemical warfare. Today when west is attacking Libya, they know that Libya doesn’t possess nuclear, otherwise things would have been different. Because Gaddafi could have gone to any extent to save him and his cause. But one thing is for sure very true. 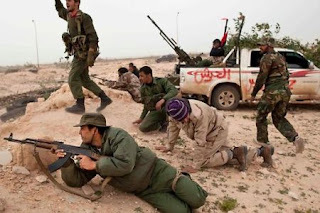 If Libyans had nuclear bomb west would have thought thrice before attacking. Or might not have attacked at all. It is good that Libya doesn’t have bomb otherwise things would have been disastrous, but it not good that West is raiding Libya this way. Everyone knows West has power, if they would have use this force in making Gaddafi understand the cause of rebels and setting up peace in the region in non military way, then it would have been better. Pity that UN considered raiding Libya as its first option.